Tea @ 10 is a new business networking event for local businesses in Bray. Info on our next event is coming soon! 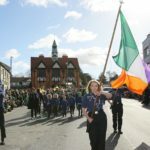 Bray celebrates our National Day in style with another spectacular Parade. Congratulations to all the winners. Helping local businesses connect, discover & collaborate. Thinking of starting a business in Bray? Engage with our team contact us at 01 2828248 or email us at info@braychamber.ie. This new networking initiative launched on Friday, March 22nd 2019. Our next event is coming soon! Supporting Business, Supporting Communities & Supporting You. Download & read our Policy Document. Engage with our team contact us at 01 2828248. Download and read our Latest Newsletter, keeping you informed of key policy, business issues, member events, news stories as well as upcoming opportunities and dates for your diary. 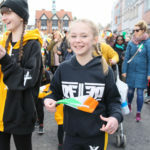 Read the latest from Bray Chamber from launches, events, people, press, business to brand information. Check out our blog here. Check out our calendar here for up and coming events. The President's Dinner took place on Friday 15th February. The night proved a great success.